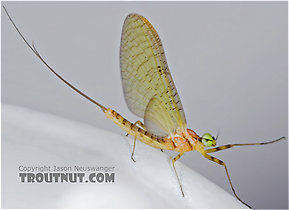 Like most common names, "Light Cahill Spinner" can refer to more than one taxon. They're previewed below, along with 5 specimens. For more detail click through to the scientific names. These are sometimes called Light Cahill Spinners. The species in this genus were formerly classified in Stenonema. See the genus Maccaffertium for details. 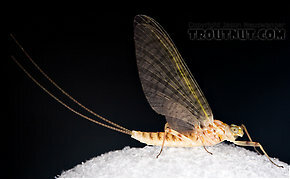 Only one species, Stenacron interpunctatum, is important to fly fishermen. See its page for details. 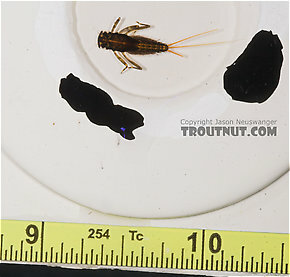 Maccaffertium ithaca (Light Cahill) Mayfly Nymph View 9 PicturesThis specimen seems to be of the same species as a dun I photographed which emerged from another nymph in the same sample. These are very rarely called Light Cahill Spinners.